Balmoral Resources Exploration Upda… | Balmoral Resources Ltd.
(Vancouver, November 13, 2018) Balmoral Resources Ltd. (“Balmoral” or the “Company”) (TSX: BAR; OTCQX: BALMF) provided an update on the fall 2018 exploration program on its Detour Gold Trend Project in Quebec, along with updates on activities on its other exploration properties in Ontario and Quebec, Canada. This press release contains forward-looking statements and forward-looking information (collectively, “forward looking statements”) within the meaning of applicable Canadian and United States securities laws. 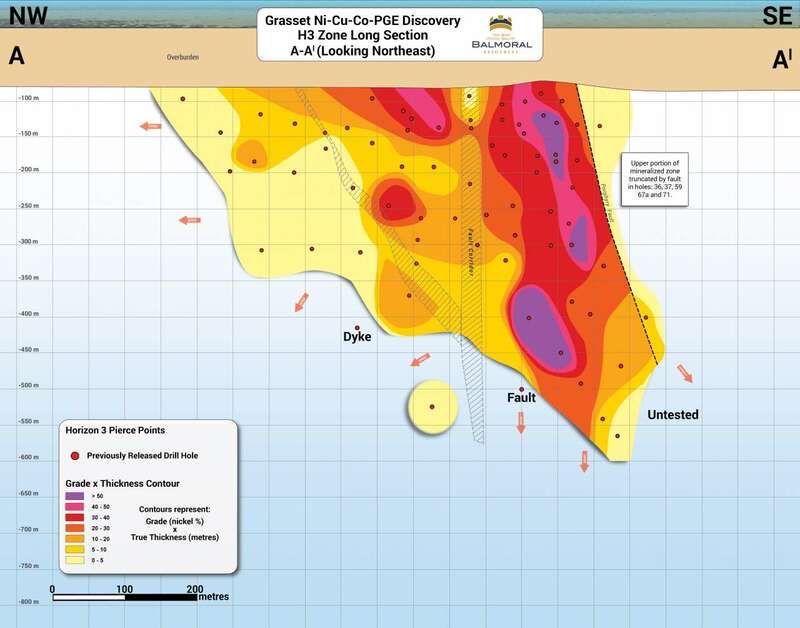 All statements, other than statements of historical fact, included herein, including statements regarding the anticipated length of the current drilling program, the utility and usefulness of certain geophysical surveys, the correlation of geophysical anomalies to mineralization of interest to the Company, the assay results from sulphide or other mineralization intersected in on-going drilling and anticipated results and timing of the Company’s exploration programs in general are forward-looking statements. Forward-looking statements are typically identified by words such as: believes, expects, anticipates, intends, estimate, postulate and similar expressions or are those which, by their nature, refer to future events. Although the Company believes that such statements are reasonable, there can be no assurance that such statements will prove to be accurate, and actual results and future events could differ materially from those anticipated in such statements. The Company cautions investors that any forward-looking statements by the Company are not guarantees of future performance, and that actual results may differ materially from those in forward-looking statements. Important factors that could cause actual events and results to differ materially from the Company’s expectations include those related to the mineral tenor of mineralization intersected on the properties, the success or failure of the geophysical contractors to survey individual drill holes and interpret the results from the surveys, factors relating to weather, staffing and costs which may be beyond the control of the Company, metal prices and economic considerations related to mining and exploration, access to financing to continue the Company’s exploration activities and the financial stability of the other companies mentioned and the market fluctuations in prices for securities of exploration and mining stage companies. Trading in the securities of the Company should be considered highly speculative.All of the Company’s public disclosure filings may be accessed via www.sedar.com and readers are urged to review these materials, including the latest technical reports filed with respect to the Company’s mineral properties.